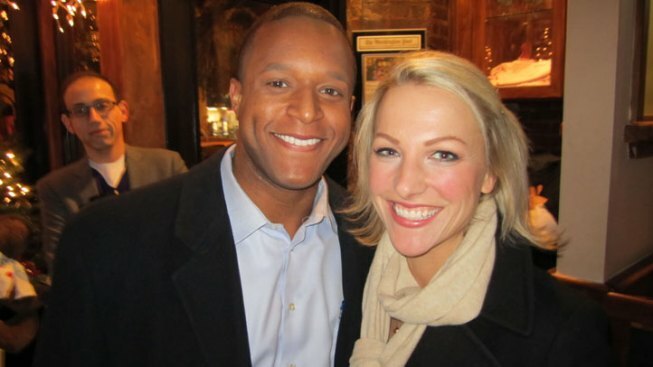 Congratulations to NBC Washington's own Lindsay Czarniak and Craig Melvin, who recently got engaged. Craig popped the question this past weekend when they were in Miami. The happy couple had kept the news quiet for a while, but it started hitting Twitter this morning. "No, this is not an April Fool's stunt," Lindsay said. "We are, in fact, getting hitched -- and we're stoked!" So far, they have received a barrage of congrats via Twitter, and a few questions, too. To recap: Craig said their wedding will not be a "We Are Washington" commercial, and Lindsay thinks Sonoma would make for a good NASCAR race to hold a ceremony. You can follow them on Twitter @lindsayczarniak and @craigmelvin or on Facebook here and here!